Success in the elk woods is the culmination of many aspects that all fell into place, perfectly. Ask any seasoned elk hunter to pinpoint just one facet of their hunting prowess that led to their triumphs, and they'll tell you that it is their balanced approach, not a singular aspect, just as a well-oiled machine is more efficient. So, this week on The Revolution with Jim & Trav, our panel of elk kingpins, will detail a strategic plan of attack that'll ultimately fill your freezer. Phoning in for a special two-part interview will be Gregg Ritz, host of Hunt Masters. Gregg will recount his recent Utah elk hunt where he previewed an all-new load from Hornady and climatically tagged a behemoth 6x6 bull on the final day, in last shooting light. Additionally, Gregg will tackle scouting for and locating bulls in the post-rut, their preferred food sources, capable calibers for taking them and much more. Then, elk calling expert and featured member of RMEF Team Elk, Kristy Titus, will breakdown the science of elk calling. Kristy explains that calling is psychological, and you're playing to their emotions. Sometimes it's a simple social cow call or it's an interrupting bugle that's intended to upset. Either way, knowing what call to use and when to use it is imperative and Kristy is here to walk us through multiple scenarios. Finally, Jill Gechter with CINCH will wrap things up with proper layering for spot and stalk style hunts in brutal conditions. CINCH has all-new boxer briefs that'll keep things in place, all the while keeping you dry and ready to conquer the terrain ahead. Jill will also debut some of CINCH's hoodies for this fall and explain how they'll aid you during the most challenging, and demanding, hunts. The Revolution and our discussion of Expedition Elk, is presented by Outdoor Channel, Sportsman Channel, World Fishing Network and MyOutdoorTV. Gregg Ritz is the host of Hunt Masters on Outdoor Channel. He is experienced, adventure driven and passionate about the game he pursues. He has traveled the world hunting coveted big game trophies, but this week on The Revolution, Gregg will discuss North American big game hunting, and highlight his recent moose and elk hunts. Gregg tells Jim and Trav that it’s hard to convey on television the amount of time that goes in to chasing any animal. That is especially true in his quest to take an Alaskan Yukon moose with a bow. After 7 years and 5 trips, this year, Gregg was finally able to connect with a bull. He details his hunt and what led up to tagging his 61-inch giant! On the heels of a successful moose hunt, Gregg flew directly to Utah to chase rutting bull elk. He tells Jim and Trav about the action-packed hunt, the challenge of finding the herd bull, and how it all came down to the last minute, and a 280-yard shot, to down a heavy beamed 6x6 bull before he disappeared into the timber. Gregg will hand out his advice to post-rut elk hunters looking to fill their tags. He’ll discuss food sources, cover, migratory tendencies and why binoculars are your best tool right now. 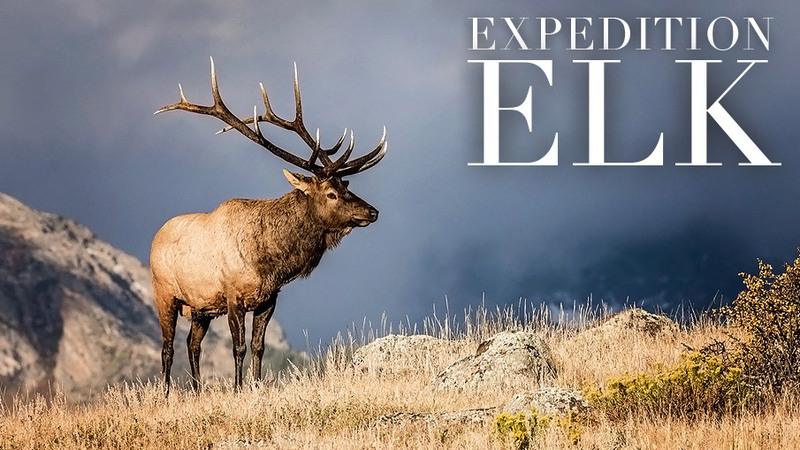 Finally, Gregg will talk about his favorite elk hunting states and explain how Utah is providing fantastic opportunities to resident and nonresident hunters, alike. You may not hear much bugling post-rut, however that doesn’t mean that calling in general can’t be effective. Kristy Titus, co-host of RMEF Team Elk on Outdoor Channel, joins The Revolution this week to discuss effective calling strategies. Kristy tells Jim and Trav that success in elk hunting is all about understanding the language you are speaking. Elk have a very broad vocabulary and hunters that master not only their bugle but their diaphragm, as well, have the ability to make a huge variety of sounds, which Kristy says makes a much more convincing argument when you are communicating with elk. At this point in the season, Kristy says she sticks primarily to cow calls with a goal of bringing in an entire herd, instead of just a singular bull. To illustrate this point, she’ll tell Jim and Trav about a hunt last season where she called in a herd of 100+ elk to just 20 yards away. Listen in as Kristy discusses her line of Pursue the Wild calls and improving your fluency in elk communication.